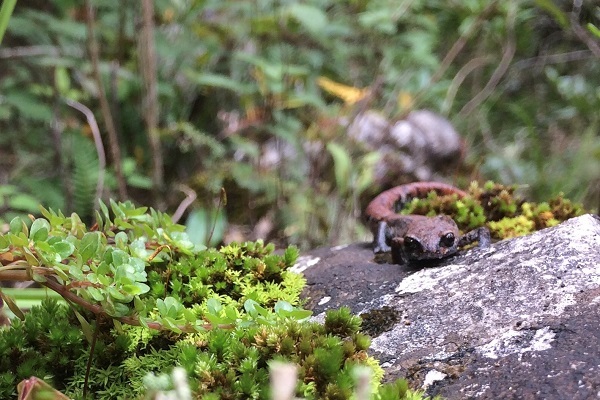 The ancient forests of Sierra Gorda in central Mexico are a haven for hidden species such as salamanders. Nina Seale, Writer/Editor at World Land Trust, describes searching for these elusive amphibians while hiking through the mountainous cloud forests. Searching for salamanders is like playing biology bingo- overturning rocks and wet logs you could find a dangerously bright millipede, a waxy, white grub as big as your thumb or- if you get lucky- a small, endangered salamander. 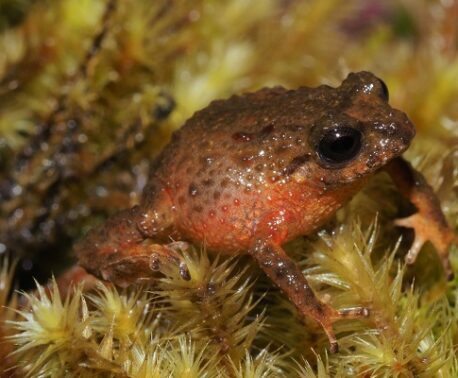 After a week of looking for these rare amphibians in the biodiverse heart of Mexico, Sierra Gorda, we had almost given up hope, nudging wet bark despondently with our boots for a sign of creatures that thrive in the dark and the damp. Roberto, Head of Grupo Ecológico Sierra Gorda’s (GESG, World Land Trust’s partner organisation in Mexico) Lands for Conservation Program, was guiding us seamlessly through near-invisible trails in the cloud forest of the Guayamé reserve. He had not yet seen a single salamander in any of GESG’s reserves all year. Where had they gone? 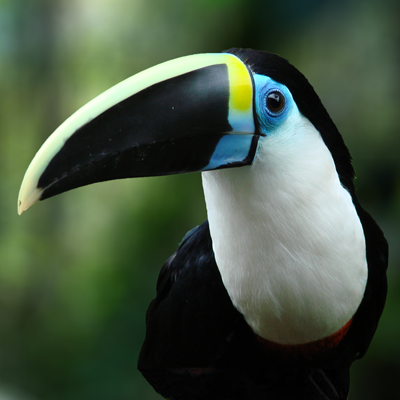 We wondered, peering up hopefully into the bright bromeliads perched in the trees and under the moss carpets. Could they have fallen victim to the deadly amphibian disease chytridiomycosis? Had they already been affected by climate change? Until finally… bingo! A twisted shape under a dead branch, still and lifeless at first glance, but soon bright-eyed and strutting over her macro landscape, we found Sierra Gorda’s first salamander of the year. Roberto didn’t even recognise her species from her unusual rusted red and cloudy blue colouration; it turned out she was a new record for the area: a Leprous False Brook Salamander. 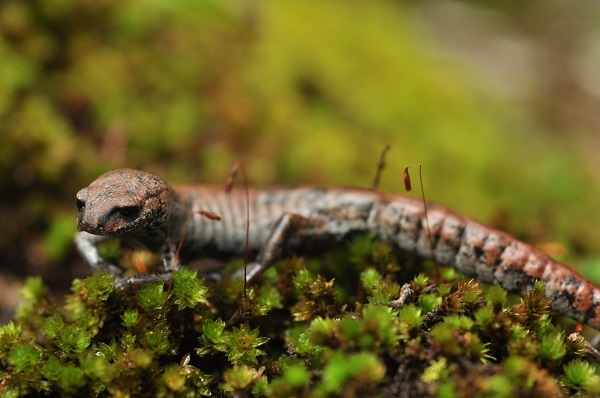 Like the other amphibians of Sierra Gorda (including the Critically Endangered and recently rediscovered Big-footed Salamander), this beautiful species is threatened by habitat loss across its limited range. 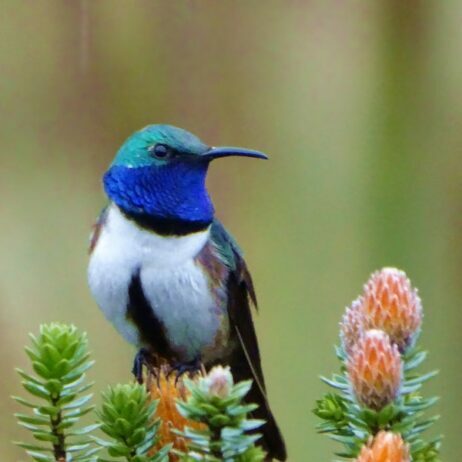 But finding a new species gives us hope for the hidden creatures our reserves in Sierra Gorda are protecting, and motivation to preserve this precious habitat while we can. 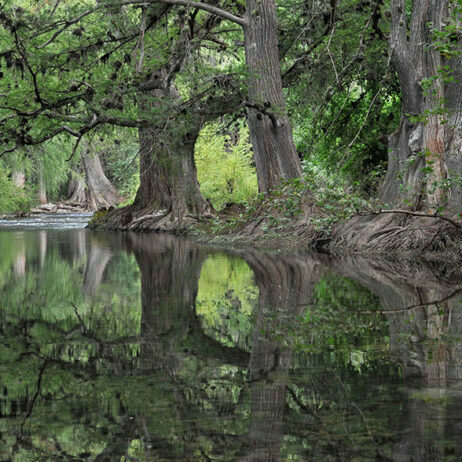 World Land Trust is currently raising funds for important land purchases in Sierra Gorda to protect these ancient forests from threats such as man-made forest fires and land clearance. We have worked with our partner GESG to create reserves in this area for more than ten years, and have saved more than 10,000 acres to date. 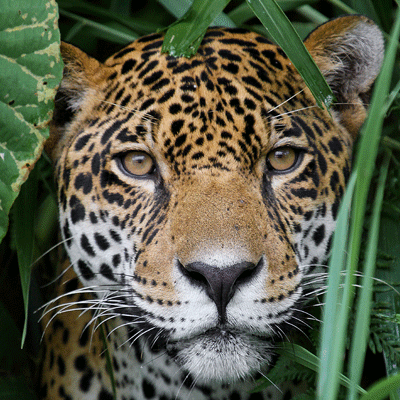 Please help us to continue protecting this habitat and its magnificent but threatened wildlife by donating to our appeal. 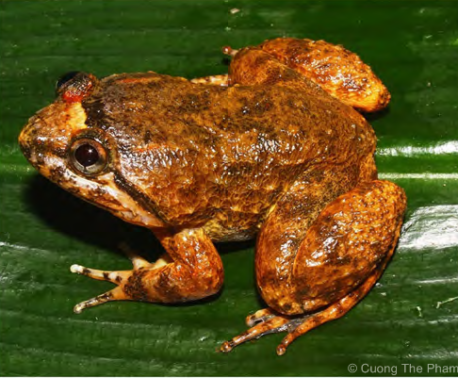 Simon Barnes describes a frog known by sound, not sight: the newly discovered Tiktik Rainfrog.